Leeds City Council is encouraging businesses, residents and commuters to have their say on the council’s latest proposals to reduce air pollution and protect the health of people in Leeds before a public consultation closes on Sunday 12 August 2018. The proposals being consulted on include a ‘Clean Air Charging Zone’ (CAZ) that would charge the worst polluting buses, HGVs, coaches, taxis and private hire vehicles for driving within it. Under the plans, private vehicles of any age would not be charged. As we have previously reported, South Leeds will not be within the planned Clean Air Zone after the council amended their original proposal to mitigate the zone’s economic impact on businesses whilst ensuring the city still achieves improvements in air quality both inside and outside of the zone. Respondents will be able to comment on the proposals and share ideas on what actions Leeds City Council should consider to further reduce air pollution beyond 2020. 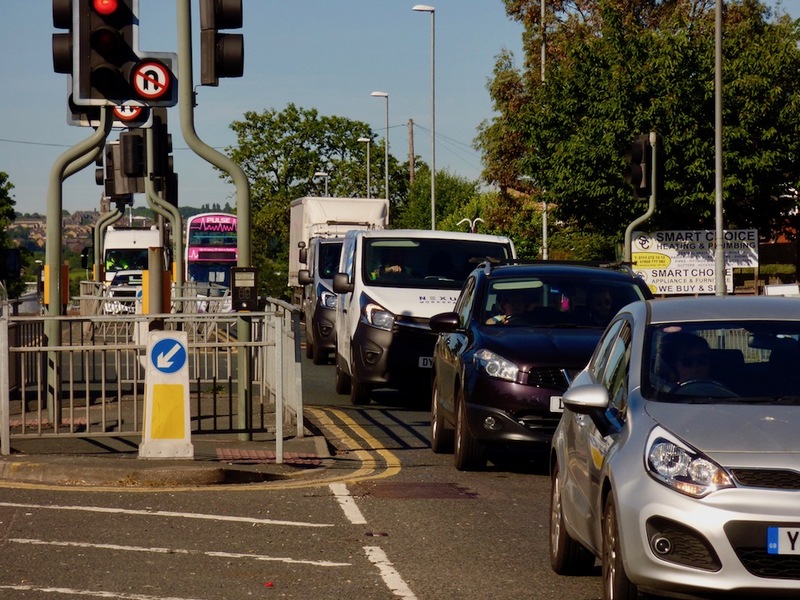 Public responses to the consultation will shape the council’s final air quality proposal which will be presented to the government in September. This final proposal will need to allow the city to comply with national air quality levels in the shortest possible timescale whilst considering the overall impact on Leeds—including financial impacts, inequality and the displacement of emissions to other areas. Introducing a Clean Air Zone covering more than 55% of the city that would charge the worst polluting buses, HGVs, taxis and private hire vehicles which fail to meet the latest emissions standards for vehicles (Euro 6 standard). Asking the public for ideas that Leeds City Council should consider implementing beyond 2020 to further reduce air pollution by 2030. The proposals come after the government instructed the council to outline plans to tackle air pollution in the city after identifying Leeds as being likely to fail legal air quality levels by 2020. “In our informal consultation earlier this year, residents told us loud and clear that they believe tackling air pollution should be a priority for the city. “Our latest proposals will improve air quality both inside and outside of the Clean Air Charging Zone, whilst mitigating the economic impact on businesses in Leeds. “I would urge everyone who hasn’t yet taken part to have their say on our plans for a Clean Air Charging Zone and our other proposals to reduce air pollution before the consultation closes on 12 August. The consultation is open until Sunday 12 August and can be found at www.leeds.gov.uk/airqualityconsultation. Does anyone understand why most of South Leeds has been left out of the proposed clean air zone? If there are benefits for other parts of Leeds, then won’t South Leeds miss out on these benefits? Is that fair or equitable treatment for the citizens of Leeds? The optics of this on a map look bad but there is a logical reason behind the proposed changed to the Clean Air Zone (CAZ) area that a map alone can’t explain. The issue is down to who owns the motorway, and local businesses. The motorway is under Highways England ownership and traffic on this cannot be charged legally under the CAZ but HGVs used by many SMEs in South Leeds – were we have a lot of HGVs – would be charged for being based here despite the fact many of their HGVs would go straight on the motorway and exit the city. So, it is a balance. The evidence we’ve seen shows excluding South Leeds would only see the reduction of harmful pollutants reduced by a slightly smaller amount compared to the original zone proposal, but not risk thousands of jobs. The overall pollution reduction would still be very significant. All the South Leeds Cllr are still feeding into the consultation and nothing is 100% confirmed yet, but we are pushing for South Leeds – as the article suggests – to have other initiatives targeted at the area to support our SMEs and others to convert to cleaner vehicles. There are also conversations being had with Highways England about how pollution from the motorway can be reduced.